Mercedes Benz E350 Avantgarde Coupe with the Factory AMG Package presented in Immaculate condition with Full Service History. Finished in Diamond White Metallic with Soft Red Leather Interior and Piano Black Trim Inserts. 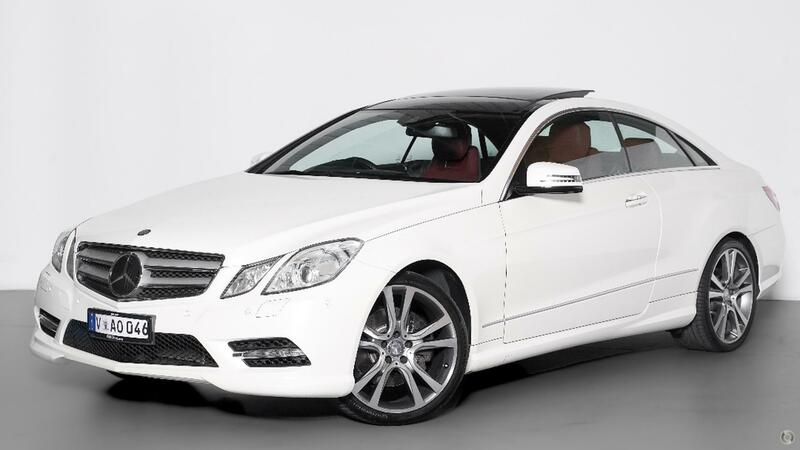 Highly Optioned with: Satellite Navigation, Bi-Xenon Headlights, Day time Running LED, Front Row Electric Seats with Memory, Harmon Kardon Premium Sound, Front & Rear Assist, Rear Camera, Folding Side Mirrors, Bluetooth & Bluetooth Audio and Factory 19" AMG Wheels. This selected car has undergone a full RedBook Inspect Dealer Pre-Purchase Inspection and carries the certified stamp by Carsales recommended service, allowing you to buy with confidence anywhere in Australia. You will note Carsales have attached the Certified Logo to this listing online. Plus many more... Finance available and trade in welcome. Price includes RWC, Warranty and Excludes on road costs. Great buying @ $32,990.00!! We have been involved in the automotive industry for over 10 years. Trading the highest standard in prestige motor vehicles. Every vehicle has been comprehensively inspected and tested as well as having them prepared for roadworthy by our fully licensed prestige car workshop. Any Mechanic Tests are welcome. Please call the showroom to arrange an appointment for viewing and test drive.